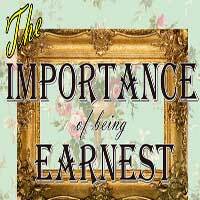 "...THE IMPORTANCE OF EARNEST is a rollicking satire in which nothing is sacred. Presented in three acts, this merry and entertaining boondoggle through life in "the good old (Victorian) days" will keep you laughing. Helmed by Michael Marchak, the talented cast seem to enjoy the play as much as the audience. Joanne Lamb's set is functional, and Michael Mullen's costumes are a delight. The entire production team has managed to bring Victorian England to life in North Hollywood. The play is double cast, so that different audiences may see different actors in the same roles. Now for a bit of trivia: it has been suggested that "Earnest" was a code word for gay in the Gay Nineties. Of course, it is unlikely that Wilde would have known that - or would he?" "...Multitalented director Michael Marchak ups the physical comedy to entertaining effect in Crown City Theatre Company's 124th-anniversary revival of Oscar Wilde's The Importance Of Being Earnest, but it remains Wilde's way with words delivered by a terrific cast of Crown City favorites that earn the lion's share of laughs." "...I had a wonderful evening and they have smartly divided the three acts with 10 minutes break between...it is a long play. This really added something a bit special to the general grandeur of the evening. In short, I loved it!" "...Still, it's a good time. As George Bernard Shaw remarked when he originally reviewed Wilde's last written play, "What can a poor critic do with a play which raises no principle, whether of art or morals, creates its own canons and conventions, and is nothing but an absolutely willful expression of an irrepressibly witty personality?" But it isn't merely just a vehicle for Wilde's wit - The Importance of Being Earnest showcases sharp social commentary regarding a class which ultimately proved to hate Wilde as much as he despised it." "...Perhaps the funniest play by the brilliant Oscar Wilde is THE IMPORTANCE OF BEING EARNEST, now performing at the Crown City Theatre in North Hollywood."